SPEEDYRAMP is a registered trademark, our aluminium ramps are designed to be durable and reliable, beware of similar products that do not offer the same SPEEDYRAMP features! 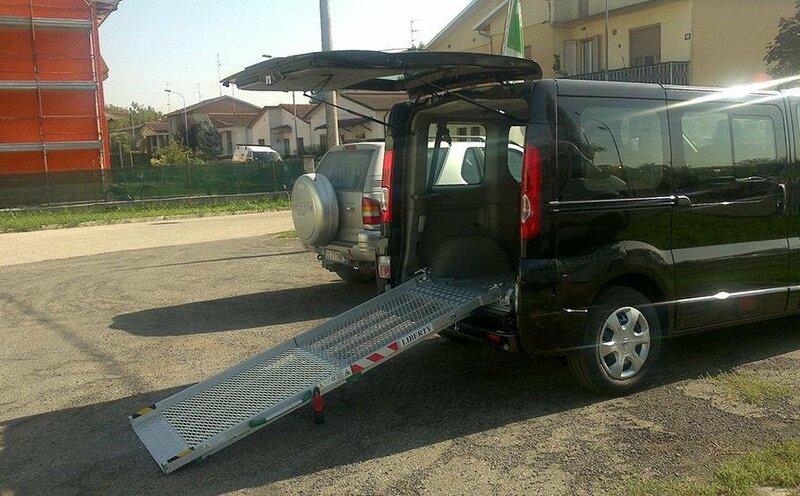 Installation of our ramps does not require vehicle approval and they are certified according to Italian laws for the transport and access of people with disabilities or reduced mobility. Ask us about the other aids for set-up and transport vehicles for people with disabilities: guides, wheelchair securement and passenger restraint systems. Folding ramp in two parts (from 2 to 3 metres), constructed in perforated aluminium in order to reduce the weight and to ensure optimal rear visibility. The ramp can be maneuvered by one person without effort and has a capacity of 300 kg. 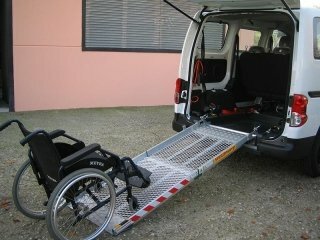 It can be assembled on most of cars and vans suitable for transporting disabled people without modification to the structure, thanks to its light weight (26 kg) and it can be easily disassembled when it is not needed due to the particular floor hook system. The installation of the ramps can occur both posteriorly and laterally, call us directly to understand the feasibility of your vehicle for the set up of transport for people with disabilities. We remind you that we also have all the aids to complete the installation: floors in MDF or plywood, floor guides, wheelchair securement and passenger restraint systems.